On the eleventh hour of the eleventh day of the eleventh month of every year, we remember those who fought bravely for the allied forces. We remember those who sacrificed their lives so that we could enjoy the peace and freedom we have today. We salute those who are currently deployed abroad risking their lives for the betterment of the world. 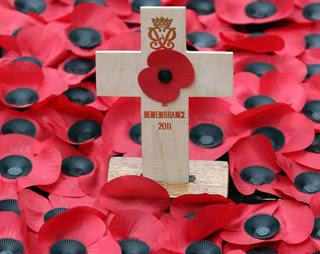 So, on the eleventh hour of the eleventh day of the eleventh month…we remember, we salute and we thank these heroes.